What makes the dispute over sharing of the Cauvery waters between the states of Karnataka and Tamil Nadu one of its kind in the country and probably in the world too, is that it is about a century old! It is incredible but true. The first agreement on water sharing was entered into between the states in the year 1892. Later in the year 1924, the dispute acquired alarming proportion when the British had to intervene and broker an agreement between the two Indian belligerent states. This agreement was to be in force for 50 years. According to the agreement, Tamil Nadu and Puducherry would retain 75% of water, Karnataka would get 23% and the remaining would go to Kerala. At the end of its term of 50 years in 1974, the clamor for a new agreement arose that recognized changed ground realities and aspirations of people of the states. Since then there have been many untoward incidents of arson & rioting and untold human lives have been lost in the wake of unfavorable expectations having adverse impact on the lives of people of the two states. 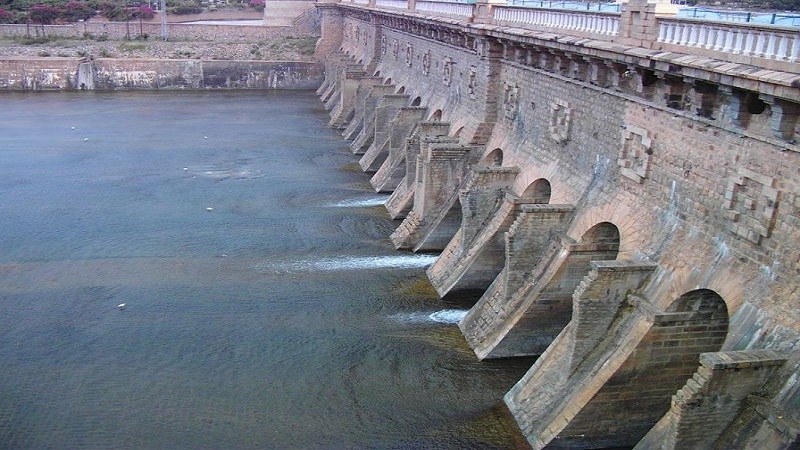 This necessitated constitution of Cauvery Water Disputes Tribunal by the Union government in June 1990 to find an amiable solution to the century old problem. Let us first understand a few facts. 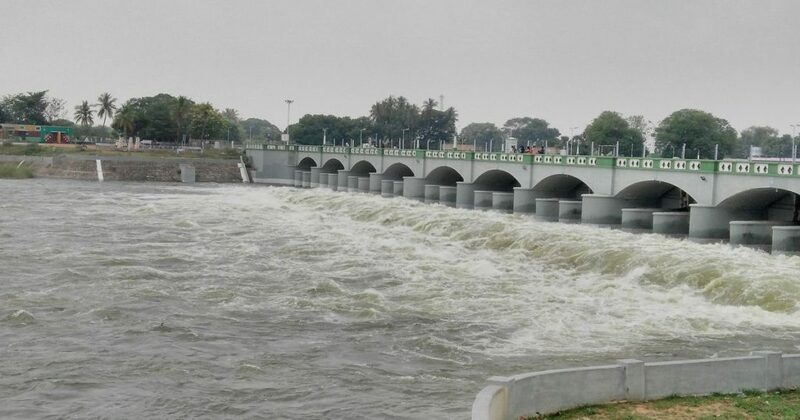 The river Cauvery is about 802 km long that originates in Karnataka’s Kodagu district and flows through Tamil Nadu to join the Bay of Bengal at Poompuhar. Here, Karnataka is the upper riparian state while Tamil Nadu is the lower riparian state. During the said period up till 1970, the land under irrigation in Tamil Nadu grew from 1,44,000 acres to 2,58,000 acres only while that in Karnataka it stood at 6,80,000 acres. These figures clearly show that Tamil Nadu is a water starved state, which meant there was still more scope of feeding Tamil Nadu. In 1991, the Cauvery Water Disputes Tribunal held the British era agreements valid to the chagrin of both the aggrieved states. The tribunal asked Karnataka to ensure 205 thousand million cubic feet (tmcft or TMC) water to Tamil Nadu. Karnataka got enraged which led to anti-Tamil riots within Karnataka. Again in 2007, the tribunal gave its final award of 419 TMC to Tamil Nadu against its demand of 512 TMC. Consequently, Karnataka and Kerala filed petitions in the Supreme Court for seeking clarification. This required an increase of water supply to Tamil Nadu and the same was the recommendation of the fact-finding team as well. Consequently, Karnataka opposed the recommendation of the tribunal to increase water supply to the rival state. Angered by this decision, in the year 2013 the state of Tamil Nadu filed a contempt petition in the Supreme Court against Karnataka for failing to release the additional water. In 2016, the Supreme Court directed Karnataka to release 15,000 cpd (cusecs per day). In the aftermath of this ruling, widespread riots were witnessed in the state of Tamil Nadu when Jayalalitha was still the CM and even as Karnataka released water to Tamil Nadu. Simultaneously, in 2017 Karnataka filed a plea to the Supreme Court’s order asking for reduction in the release of water. Then on Feb 16, 2018 the Supreme Court in its final order ruled that rivers are national assets and do not belong to one state. The state of origin of the river does not have full ownership over the water of the river. The resources have to be shared equitably with all other states through which the river flows. The word equitable does not mean equal. Finally, the Supreme Court upheld Tamil Nadu’s incremental share of 12,000 cpd (down from 15,000 cpd originally). Can one say that this is the end of dispute between the states?